Men are very careful when it comes to choosing an engagement ring for their sweetheart. Why is it, then, that men settle for wedding bands without bravura or any sense of something special? Our 7mm designer cobalt chrome and black ceramic men’s wedding ring is the perfect choice for any modern man with an eye for style. Unfamiliar with cobalt chrome? This alternative metal offers a bright white color that’s much lighter than tungsten carbide or titanium rings. Better yet, cobalt chrome is hypoallergenic, resilient, scratch-resistant, shatterproof, and delivers a permanent luster that requires minimal maintenance. 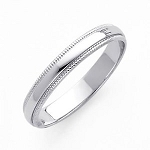 Each 7mm designer cobalt chrome and black ceramic men’s wedding ring is available in a variety of sizes. Every groom deserves a wedding ring that symbolizes his devotion. Our designer cobalt chrome and black ceramic men’s wedding ring will gleam brightly when worn as an everyday fashion statement or wedding band. We use only the best materials to ensure long-lasting quality and uncompromising sophistication. Comfort fit bands tend to run a half-size smaller than traditional rings, so we recommend that you have your ring size measured at your local jewelry store to determine whether a comfort fit fashion ring will suit your needs. 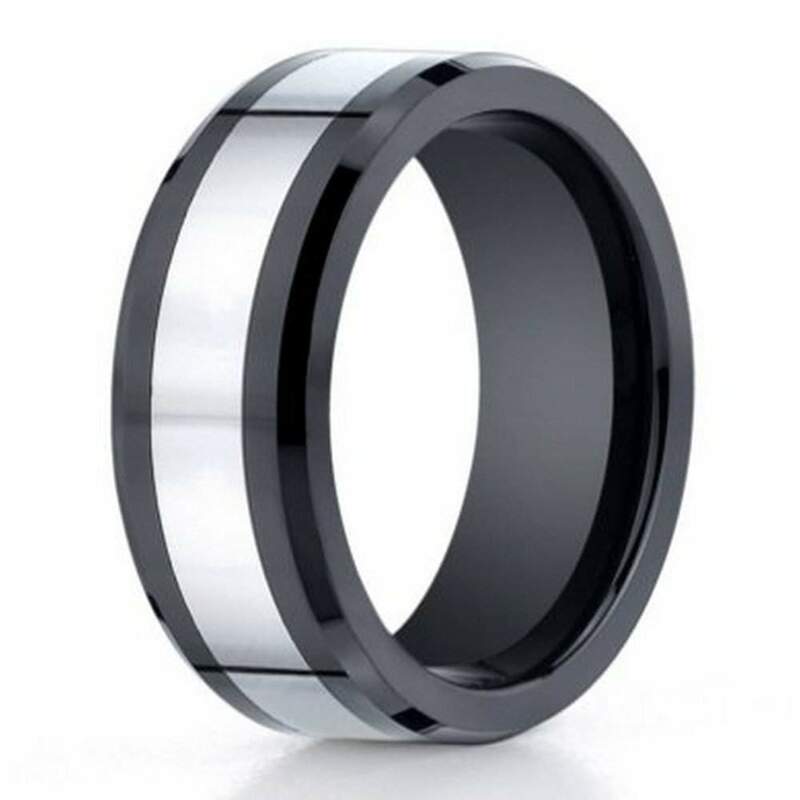 If you have any questions about our 7mm designer cobalt chrome and black ceramic men’s wedding ring, please contact one of our jewelry specialists for further assistance. We strive to provide a shopping experience unlike any other, and we are proud to be your one-stop shop for affordable jewelry.